From offering increased efficiency and cutting down on research time when catering to clients for a data-based budgeting tool, Harshil Shah's summer internship projects have already been adopted by his parent company, consulting firm GEP Worldwide, and one of its key clients. 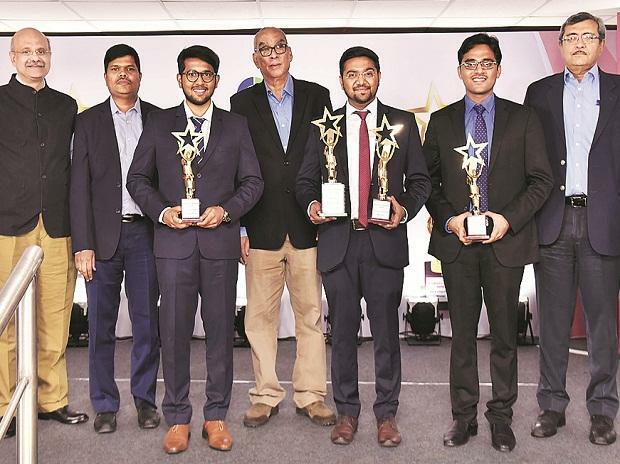 Harshil, a 25-year-old MBA candidate at K J Somaiya Institute of Management Studies & Research from Mumbai, was the first runner-up at the Business Standard Best B-School Project Award 2018 for developing a "budgeting forecasting tool" and "category strategy dossier for the meetings and events category". His first project aimed to build a budgeting forecasting tool for a company's team of corporate executives (CXO). Specifically, Harshil's job was to help the CXO team of one of GEP Worldwide's clients forecast their indirect spend for FY19. According to Shah, this particular client is one of GEP's oldest and has been associated with the firm for more than a decade. While GEP had achieved increased savings for the concerned client through new ideas in the procurement space, it didn't have many offerings in the analytics space, says Harshil, adding that the client wanted GEP to showcase its "cutting edge thinking and analytical offerings by means of this project". "This project helped launch a predictive analytics division in the organisation. Now, this division can execute similar analytics-driven projects for other clients as well. This division can also act as a future source of revenue for the company since they would be able to service clients who have problems which can be solved using analytics," says Harshil. GEP is a procurement consulting company and it helps its clients in achieving bottom-line savings through cost reduction by a variety of methods such as procurement transformation, opportunity assessment, strategic sourcing, low-cost country sourcing, M&A services, and zero-based budgeting, among others. Harshil says he built a budgeting forecasting tool which provided future price estimates for the client firm's Top 5 spending categories in North America. He analysed close to 55 independent variables and forecasted the five cost drivers using programming languages and software used for statistical analysis. Sentiment analysis of industry articles was added on top of the predictive modelling. Finally, the end results of the model were visualised in a way that made it easy to use for the client's CXO team. The tool helped the client carry out its budget allocation in a statistical manner, as compared to an earlier manually estimated and non-data driven method, explains Harshil. This tool was adopted by the client, and similar tools have been requested for by it for the Latin America, Asia-Pacific, and Europe, West Asia and Africa regions as well. "The project essentially helped the CXO team in allocating their indirect spend budgets for FY19 using predictions from the cost drivers which we forecasted, but, more than that, it helped GEP showcase to the client our ability to innovate and quickly develop new competencies in order to serve their changing needs," says Harshil. He has received a pre-placement offer from GEP Worldwide for the role of consultant. Previously, Harshil worked as a decision scientist with Mu Sigma, a big-data analytics firm. He was also involved in the development of a framework for the optimum reallocation of unspent budgets and an analytical framework to bridge demand-supply gaps across different regions. His other project was to build a category strategy dossier for the 'meetings and events' category. Such a dossier acts as a one-stop solution for GEP's consultants and clients to get category-related insight. It consists of the following: Industry analysis, negotiating lever, best-in-class procurement suggestions, and supplier analysis. "The key gap here was that I needed to carry out extensive secondary research to understand the industry mega-trends and supplier capabilities and extensive primary research on the floor by talking to GEP consultants to understand the best-in-class negotiating and contracting practices," explains Harshil. In the end, Harshil delivered a 30-slide presentation that is being used by GEP consultants worldwide at present in any client project that is related to the "meetings and events" category. According to him, this dossier will help consultants save close to 30-45 hours of research time per project related to this category.